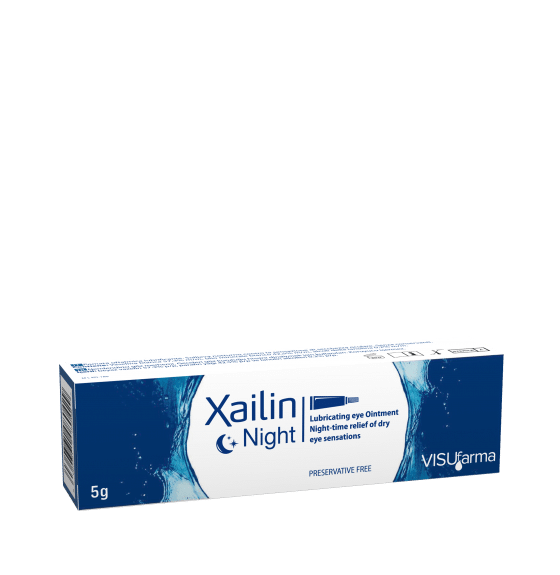 Xailin Night is a preservative-free lubricating ointment for night-time relief of dry eye sensations. Xailin Night comes in the form of a multi-dose eye ointment tube (5g). For more detailed information on Xailin Night please visit our local VISUfarma websites here.